Cilantro or coriander is one the world’s oldest spices. Spanning from 5000 BC to modern times, it has been used medicinally and culinary around the world. In ancient times, countries such as China, India, Egypt, Greece, and Rome used it for both its seed and leaf. It is thought this aromatic herb made its way to North American colonies by the late seventeenth century. Cilantro is a multi-purpose herb with a distinct flavour. 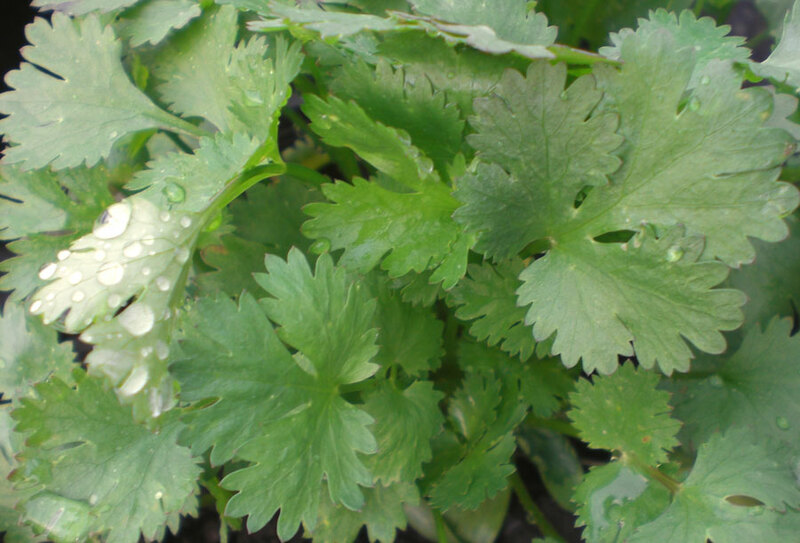 The pungent leaves, called cilantro, are widely used in Asian and Latin American foods such as salsas, salads, and soups. The seeds, known as coriander, are used in meats, pickles, fruit dishes, curries, and chutneys. 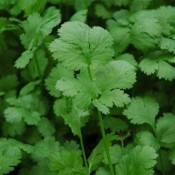 Cilantro has visual appeal with its lacy foliage and delicate white flowers. It is one of the best plants for attracting beneficial and predatory insects to your garden. It prefers full sun but benefits from afternoon shade during the heat of summer. The soil should be fertile, light and well drained. It prefers dry summer weather and dislikes humid conditions. Leaves can be harvested throughout the summer while the seeds can be collected when they ripen in the fall. Harvest the seeds as soon as they turn light brown. Cut the stems at the base of the plant and let the fruit dry. Shake the seedheads over a large sheet or into a paper bag and rub the dried fruits between the palms of your hands to split them into seed segments. Cilantro is best picked as needed and should be used as soon as possible. Cilantro can be kept for 2 to 3 days in the refrigerator. Wrap a damp paper towel around the roots and place in a perforated plastic bag. Generally, cilantro should not be dried because it loses its flavour. Store the coriander seeds in an airtight container.